The Prince Of Thieves is a Gooner. The Untouchables. Field Of Dreams. Dance With Wolves. The Bodyguard. 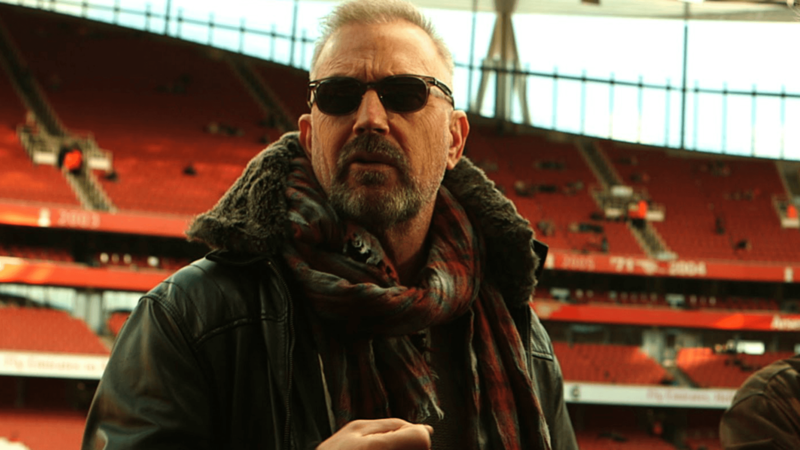 Everybody can reel off a list of Kevin Costner classics, but you probably had no idea he’s a huge Arsenal fan. The Oscar-winner, who counts classic sports films Field Of Dreams and Bull Durham in his impressive back catalogue, embraced Arsenal when he was making Robin Hood: Prince Of Thieves in Britain in the early 90s. When he returned to London to make Criminal, a thriller that sees him play a psychopath implanted with the memories of Ryan Reynolds’ dead CIA agent, Costner immediately tried to get the Gunners into the film. But Costner told Loaded that the sequence in question ended up being too violent for Arsenal’s tastes. “I got adopted a long time ago,” Costner said of his Gunners fandom. “I actually put in a big scene in Criminal about Arsenal. But because it was so violent the producers asked me, and I think Arsenal didn’t want me to do it, because they didn’t want me to promote violence. “I actually wore an Arsenal scarf. I see a kid and ask if he’s an Arsenal fan, then say ‘Me too’. I’d just beat up some guy and they didn’t want me to put it in. Arsenal’s cultured, elegant footballers like Mesut Özil and Santi Cazorla might have baulked at the idea of Costner getting an Arsenal scarf blood-stained, but the reducer-loving likes of Patrick Viera and Martin Keown would have lapped this up. This definitely wouldn’t have happened on George Graham’s watch. Criminal opens in UK cinemas on April 15. A full Costner interview will be on Loaded next week. Video editing by Luke Remon.